Last night I went for an original work out! You might remember back in May I danced in a recital with some other women. It was a blast, but I definitely had my moments of frustration and thoughts of, “I don’t think I can do this.” But, I did. Various nights this summer, the choreographer, Teri, has put together workshops so that we can keep dancing without the pressure of performing. My schedule finally let me get there last night and I’m so glad I went. She held both a Contemp and Hip Hop workshop, but I only did the hip hop. Not that I consider myself very “hip hop,” but the dances are much more similar to poms and I just do better with that! It doesn’t require as much contortion. Well, it isn’t really contortion, but when you’re “old” like me, it starts to feel that way! I was way proud of myself. One of the biggest struggles I had this winter/spring with dancing was MEMORY. Oh my gosh. The frustration was incredible. But, last night, I’m proud to say I easily caught on! That’s more like it! It got pretty schwetty, but it was a blast. I love work outs that don’t really feel like work outs! Teri always videos the final product so we have something to show for our hard work. Here it is! Enjoy! A few weeks ago, I mentioned that I was a new Sweat Pink Ambassador. As a part of that, I was given an opportunity to write a post for the Fit Approach blog to share a little bit about myself and the reason why I Sweat Pink. Today is my day of fame! Head on over to read more about why I started running and my experience with my first half. Hopefully, once this humidity and stupid high heat breaks here in the midwest, I can get back out there and do work! Writing about the final portion of my trip just reinforces that my vacation is over. I mean, just in case the perpetual exhaustion or catch up at work wasn’t enough. So, Sunday, Craig and I left the Springs and he dropped me off at Allie’s house. I’ve known Allie since first grade – that’s a really long time! We lost and regained touch over the years, but she and her family have been there whenever I’ve needed a family. When my parent’s moved to Texas when I was in college, her parents stepped in and provided a support system for me. They’re pretty great. One of the best things about spending time with Allie is that it’s effortless. We are both perfectly comfortable with silence. I love that we can sit and drink wine and watch a movie and feel no obligation to talk. Sometimes it’s just nice to have someone sitting next to you, enjoying time together in silence. We made no special plans. In fact, I spent most of my two days with her walking dogs with her. 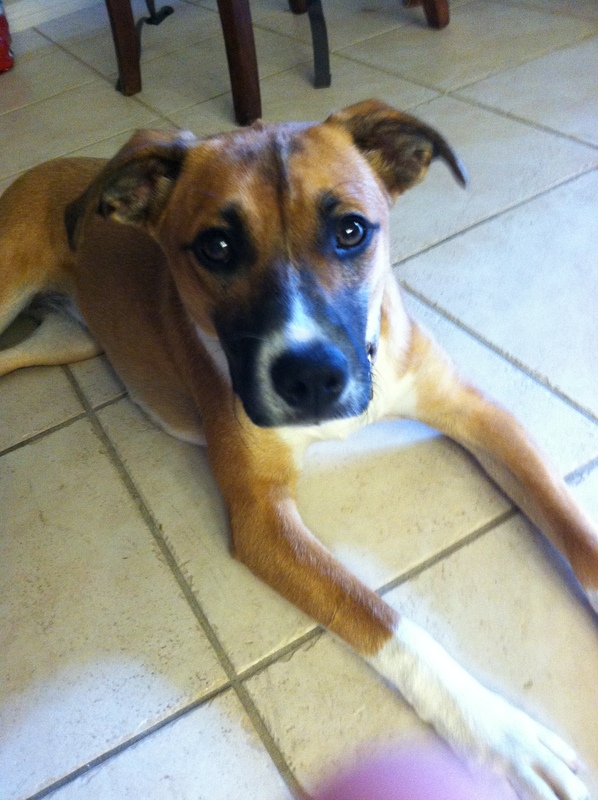 Allie owns Yappy Walks, the dog-walking company I highlighted a few months ago. Between Monday and Tuesday, we banked 14 miles walking! I feel a little bit better about falling behind on my running. Walking that distance in the altitude is no easy feat. I forget how much that silly altitude can impact my endurance! The weather was perfect – I really enjoyed consistent sunshine and warm temperatures. 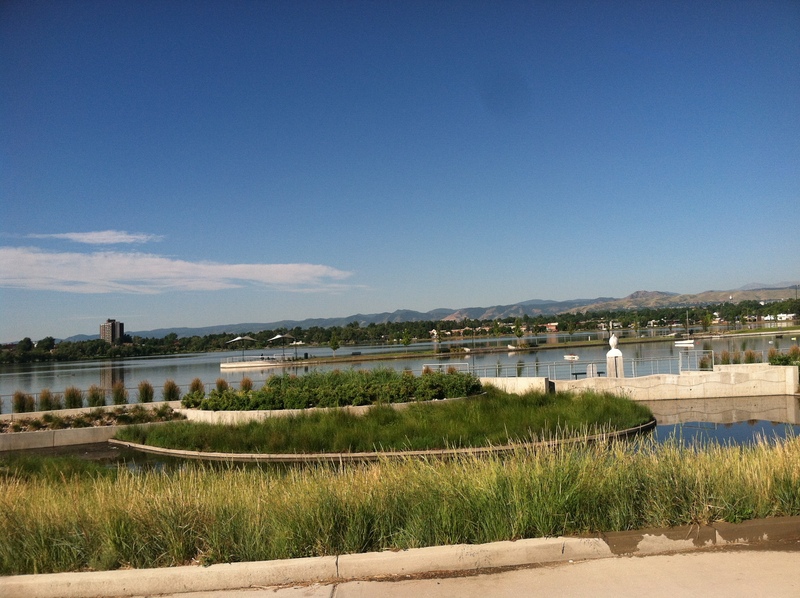 While there, I had the chance to walk Sloan’s Lake. 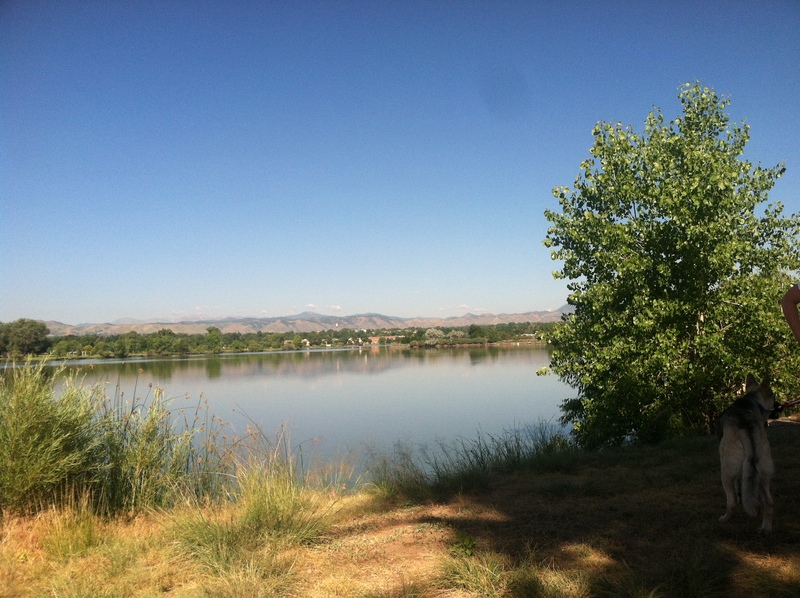 When I lived in Denver for a hot minute, I ran around this lake on almost a daily basis since I lived just a block away. While those Colorado folk may call it a lake, to me, it’s a small pond. I couldn’t believe it when I saw people skiing on it – it’s so little! But, it sure is beautiful. 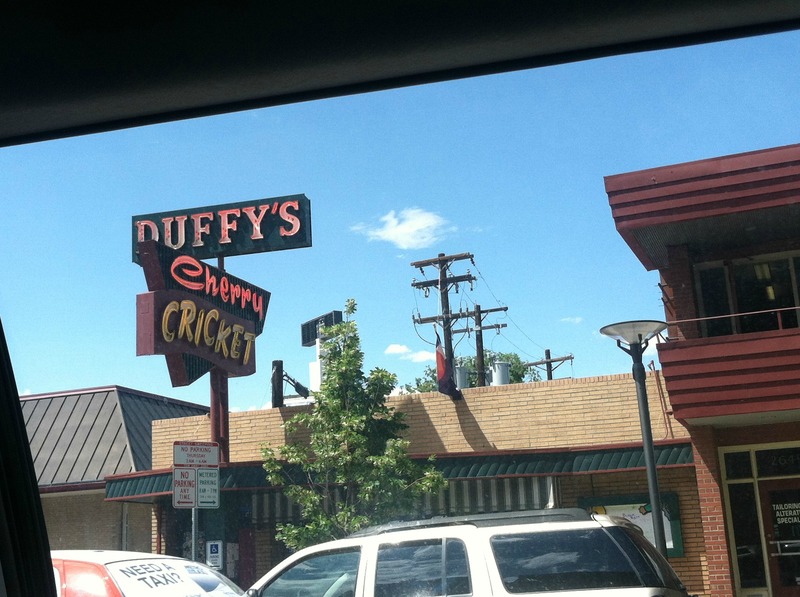 During our first day walking, Allie and I grabbed lunch at the Cherry Cricket in Cherry Creek. If you’re ever in Denver and you’re looking for a great burger, check it out. You essentially build your own burger (white cheddar, fried egg, and jalapenos for this girl!) and you can get frings as a side (yep, that would be onion rings and fries!). It was one of my two requests while in Denver. You aren’t surprised it was food, right? For dinner that night we had yogurt. No shame. 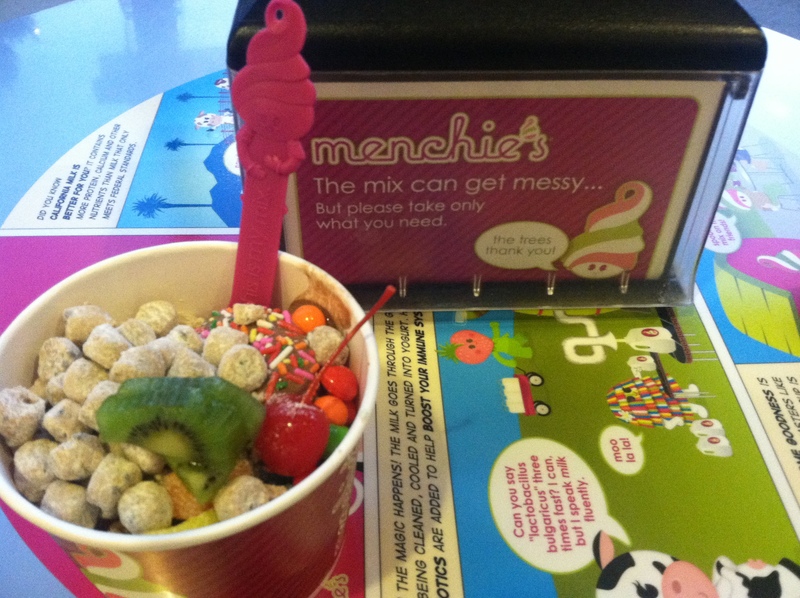 Denver was the first place I experienced those mix-and-match yogurt places. Allie may be the only person I know that I feel shameless eating ice cream for dinner with. 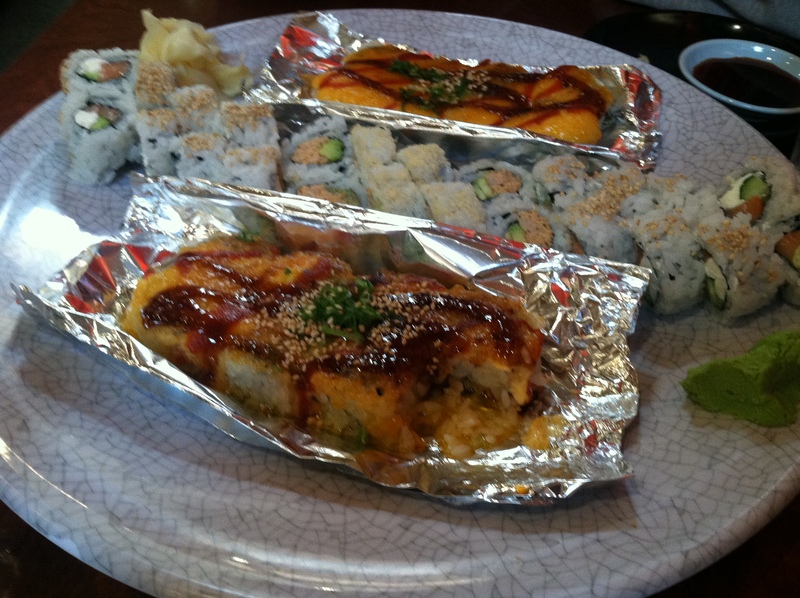 My last request for Denver was a sushi date at Japon. Is anyone really surprised that BOTH of my requests ended up being food-related? Sigh. Anyway, Japon has the best sushi roll I have ever had. EVER. It’s called the California Dynamite Roll. I’ve had them elsewhere, but none of them touch this bad boy. Don’t worry, this wasn’t all for me! So, the last few days of my vacation were incredibly relaxing, which was nice considering the first half of my trip was go-go-go. I got a lot of walking in, a few glasses of wine, great food, and quality time with one of my best friends. Well, I’m pretty pumped about today. I’ve yammered on and on about my dear friend Kim, over at Racing Bananas, and now, you get to meet her for yourself! I’ve come to really admire Kim and the strength that she exhibits on a daily basis when it comes to living a healthy lifestyle. It’s probably good we’re miles apart, I’m sure that I would be a bad influence! That cone of ice cream? I gots to have it. But, she can say no. And she can pull herself off of the couch to get a work out in, just as I am deciding that I’m far to comfortable to move. Except to get that ice cream cone. The two purdiest girls graduating that day! Hi everyone! 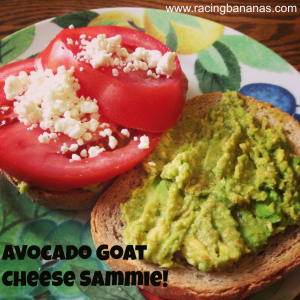 My name is Kim and I blog over at Racing Bananas. 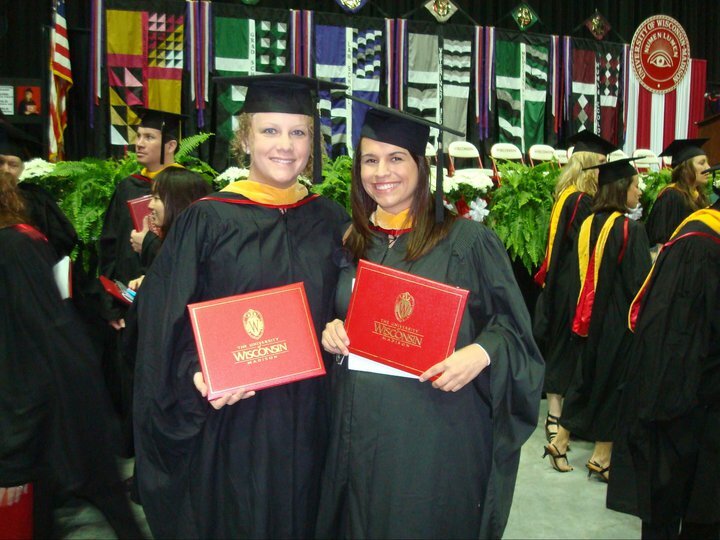 As you may know, I met Jessi in grad school and we quickly hit it off! Since then, she has been one of my closest friends and biggest motivators. Today, Jessi’s letting me hijack her blog today to talk with you all about motivation and how I’ve stayed motivated while beginning to live a healthy lifestyle. My healthy living journey began during the Summer 2011 – I had reached my highest weight and was battling depression and self-image issues. With my dad and brother, I decided to change my eating habits and began exercising. I started doing the Atkins Diet, but soon realized that it was not sustainable for me. So paired with going to the gym and eating more healthy and in moderation, I have lost about 40 pounds in just under two years. It’s something that I am extremely proud of and strive to maintain. This can be pretty difficult, because I love sweets. And carbs. And lots of other not so healthy things! But again, everything in moderation, right? Well, trying to live a healthy lifestyle has been a journey, and I have definitely had my share of successes and setbacks. Some days are definitely better than others and I constantly need to remind myself WHY I’ve made the decision to make these life changes. For me, it’s not just about losing weight – it’s about feeling good about myself and my body. I’ve found there are two main things that keep me motivated; setting personal goals and being inspired by others. I’ve also found that hearing and reading about other’s success stories is incredibly inspiring and keeps me motivated to stay on track. Especially since joining the blogging community, I’ve been overwhelmed not only by the accomplishments of others, but also by how supportive everyone is. It’s fantastic! For example, I just signed up to run my first half marathon after contemplating it for about a year – ahh! But knowing that there are awesome people like Jessi who has run THREE halfs and is going to run her fourth with me, gets me so excited and makes me truly believe I too can accomplish such amazing feats! Finally, one of the ways I’m able to continue living a healthy lifestyle is by making sure that the food I’m eating is tasty. Because honestly, it’s sometimes hard to choose the healthy option if it doesn’t sound as tasty as chocolate or ice cream or popcorn. Just saying. So what kinds of things do I like to eat? So, unlike Jessi, I’m not the biggest recipe follower. 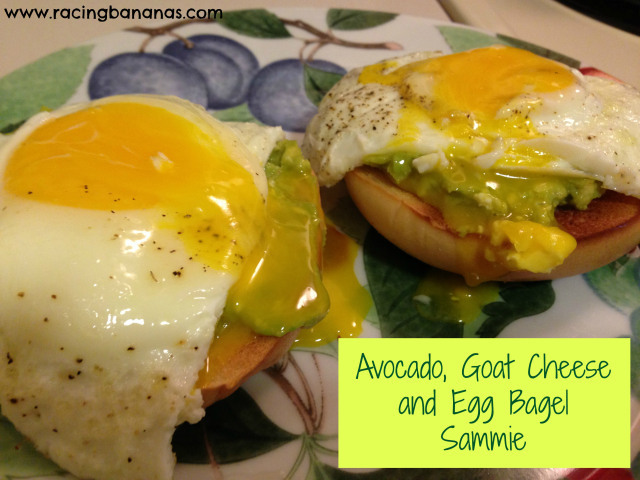 I usually mash my avocado and then add the spices – just a little shake of each to get a ridiculously yummy flavor. I add this basically to anything I can – avocado acts as a great condiment and is really nutritious. YUM! I’m also a huge oatmeal fan. 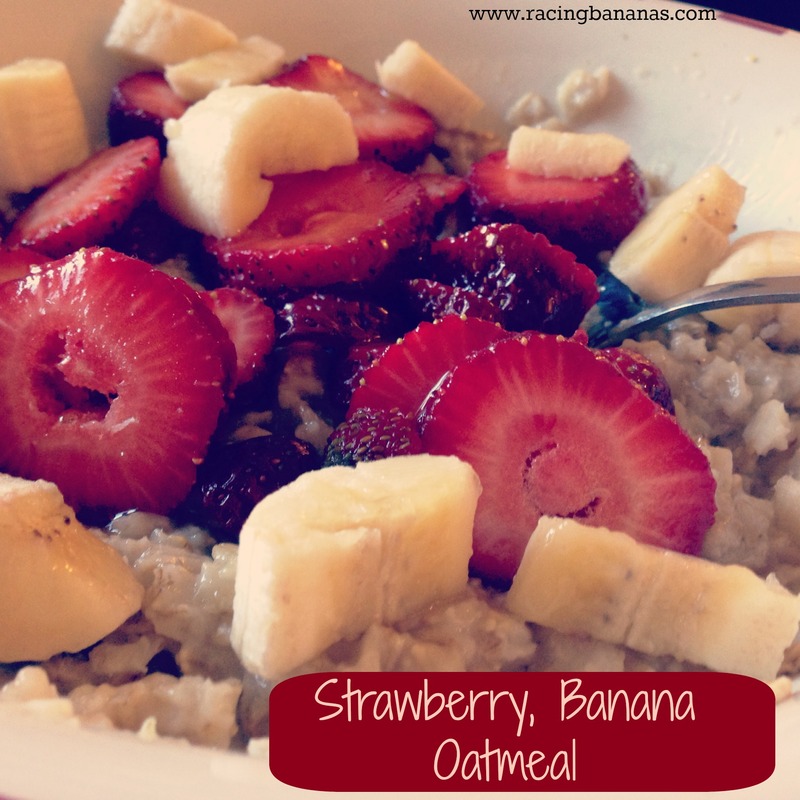 For breakfast, I typically eat a bowl of oatmeal with strawberries, bananas, and honey. It keeps me full until lunch! I’m pretty low-key and use Quaker Instant Oats (1/2 cup oats, 1 cup water, microwave 90 seconds) and add in the fruit. Easy peasy and delicious! 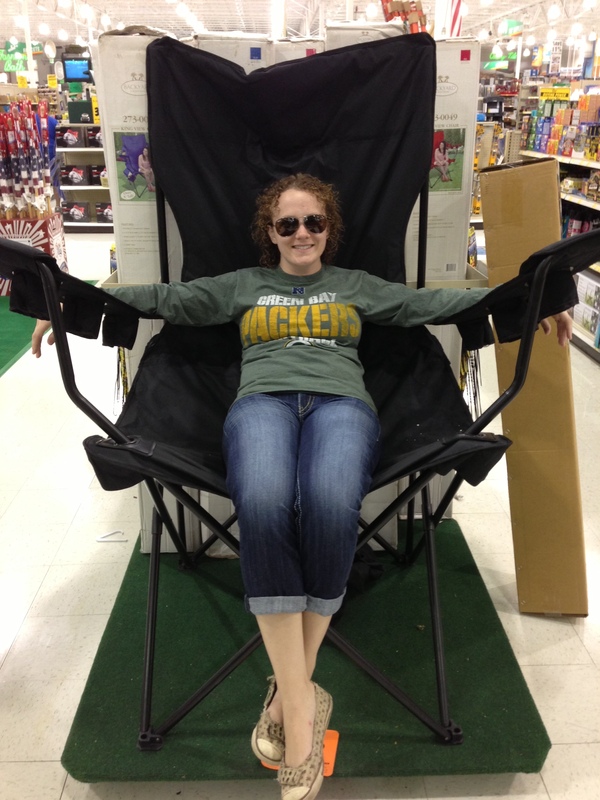 Well, I guess I’ve taken over Jessi’s blog long enough! I would love to hear your thoughts on how like to stay motivated and some of the healthy food ideas you have! …that’s what I have to remind myself. I hate how easy it is to fall out of a habit and how hard it is to get back into it. 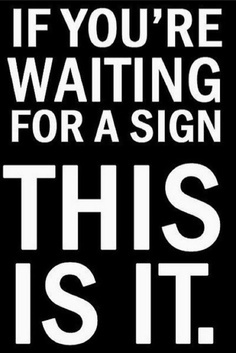 I’ve been telling myself for a couple of weeks now that I’m going to start running again. I have no excuse not to. The weather is gorgeous and we have a great running trail by our rental. I’m seriously lacking motivation. One of the biggest issues I’m having is schedule. I’d love to be able to get up before work, knock a run out and be done for the day. That’s fine. For now. Then will come winter and it will be dark until almost 7 am. I’ve never been comfortable running in the dark, especially wearing headphones and I need my headphones when I run. Then there is the fact that I take an hour and a half lunch break. That worked really well for a while. I went to the gym over my lunch and had plenty of time to workout and get back to work. But, sharing the gym with undergraduates and meaty guys that think they’re BAMFs, got old real fast. I could run around the city, but it doesn’t take much to get into the wrong part of town. Not to mention stopping at crosswalks would drive me insane. Oh, and I’d probably never mind my way back to campus. To me, north is up. I could talk your ear off forever for all of the reasons why I can’t make it work. I have to face the fact that I’ve lost much of my endurance. 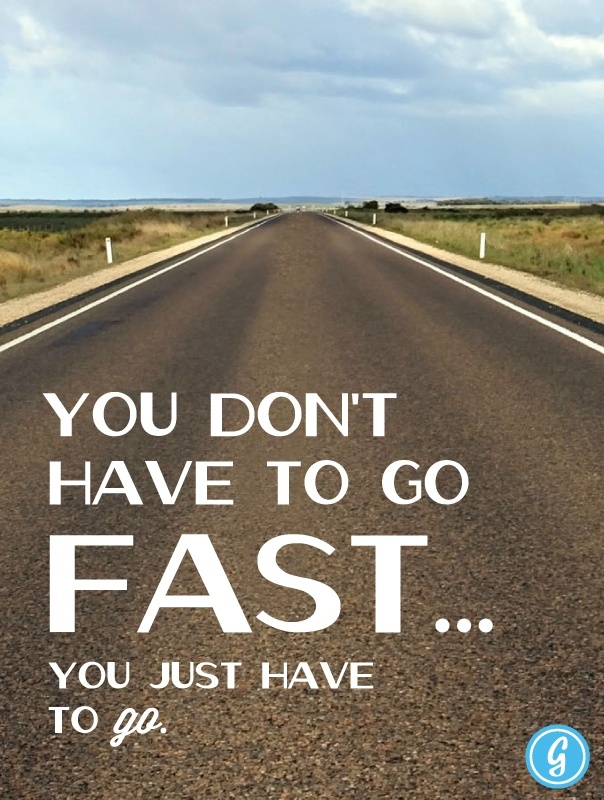 I have to get tough and not get discouraged when my mile time is over a minute slower than it was. I have to remember that I can get back there, because I know the way. This morning, I took my first step towards retraining myself. A measly 2 (okay, it was actually 1.8) mile run. And it was pitiful. But, I got through it. And I plan to get through it again on Saturday. And Sunday. 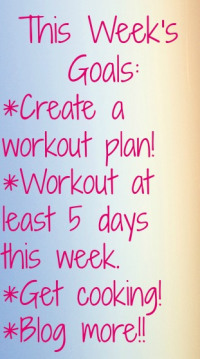 And start working towards re-establishing a healthy habit that I know I’ve loved. 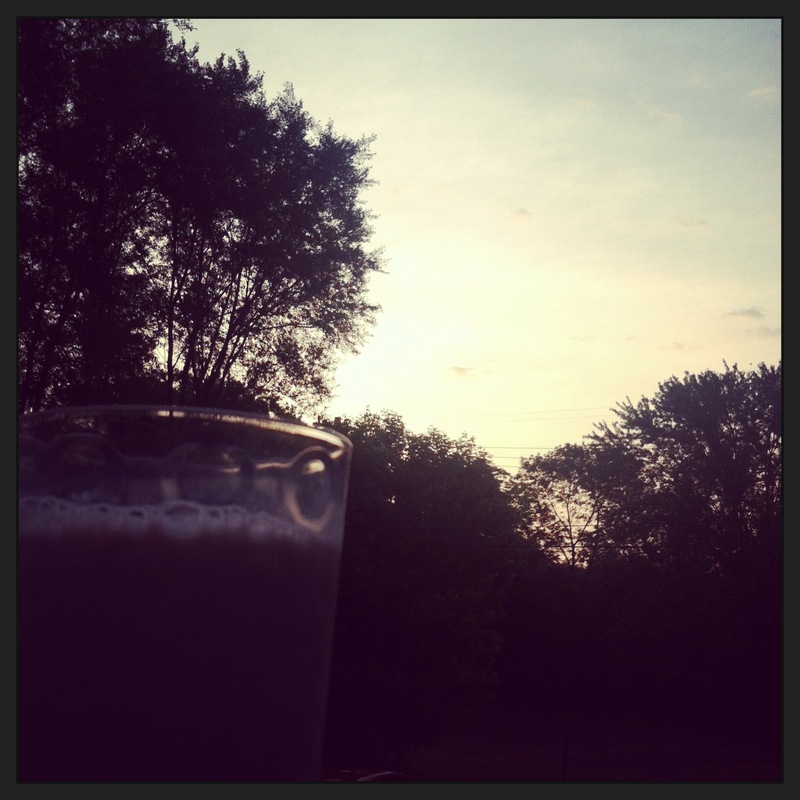 Recovery drink of champions: chocolate milk with the sunrise. Remember When I Said Last Weekend Was Nuts? i lied. Well, okay, last weekend WAS nuts. I mean, we bought a house for cryin’ out loud! But, this weekend had me chasing my tail. It’s been SO busy. Friday was great, but super long. 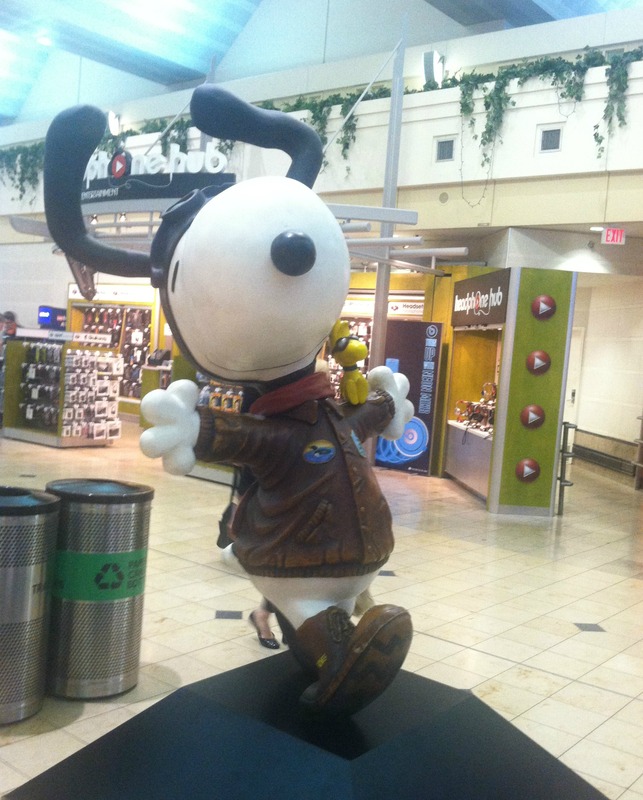 I headed to St. Catherine’s University in St. Paul for my first professional conference. If I haven’t said it before, I’ll say it now, I love my job. The best part about it has been the mentorship I’ve received. My boss and my boss’ boss are incredible. They have taken an active role in my professional development. They aren’t worried about me moving on someday, they want me to move on. Anyway. Part of their excellence has been in listening to me when I say I want the opportunity to gain some professional networking experience through conferences. Despite budget crunches, they’ve already made it happen. I’ve been there for 5 months. And already they’ve sent me to a conference for the Midwestern Association for Graduate Admission Professionals (MAGAP). Friday, I was up bright and early and headed to the airport. I flew to Minneapolis and made it to St. Kate’s with no problems (except I’m pretty sure the cabbie screwed me by taking the most indirect way possible). 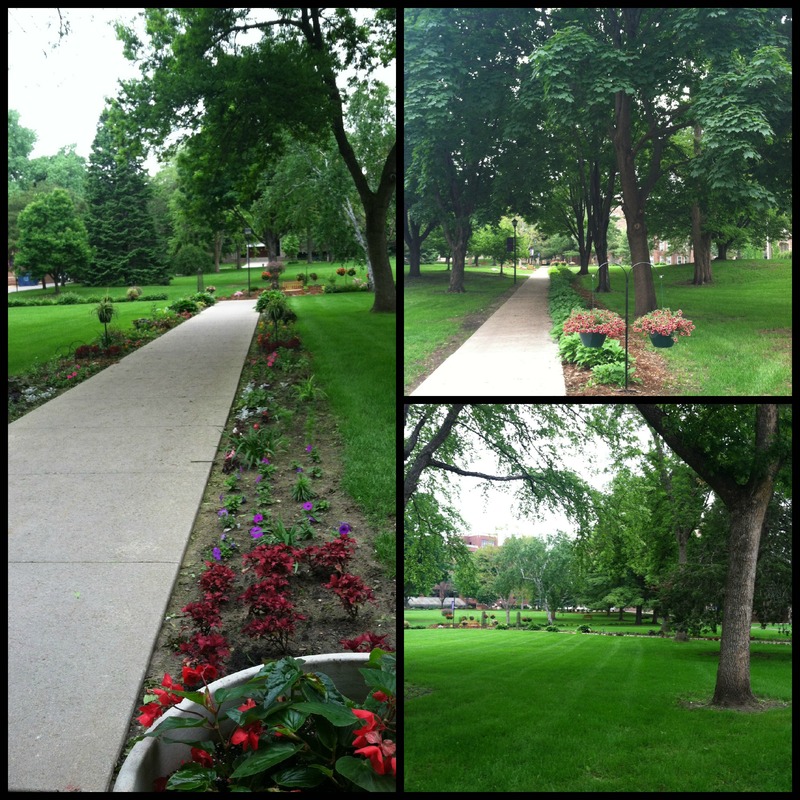 How beautiful is this campus? I had some extra time before the sessions started to wander around. Despite the fact the weather was predicted to be around 70 degrees, I’m pretty sure it was barely 55. I sure wish I had a jacket! Friday’s sessions were centered around diversity in Graduate Admissions. I wasn’t sure how I would enjoy it – I mean, I feel like everyone and their mother has been talking about diversity lately. However, the keynote speaker was incredible. She gave me so many new perspectives and ideas. I’m excited to get to work tomorrow and share with my director some of the things I’ve learned. I also really enjoyed getting to know some of the other professionals in the region. I met some great people, especially from Chicago and Cincinnati. Just nice people. I’ve noticed that about higher education – people just have your back. And it’s nothing to call upon an acquaintance for professional guidance or opinions. Sure, there is politics in everything, but I’ve found very little when dealing with peers from other institutions. Lunch was awesome (lots of food on a stick!). Dessert LOOKED and sounded amazing, but it was disappointing. 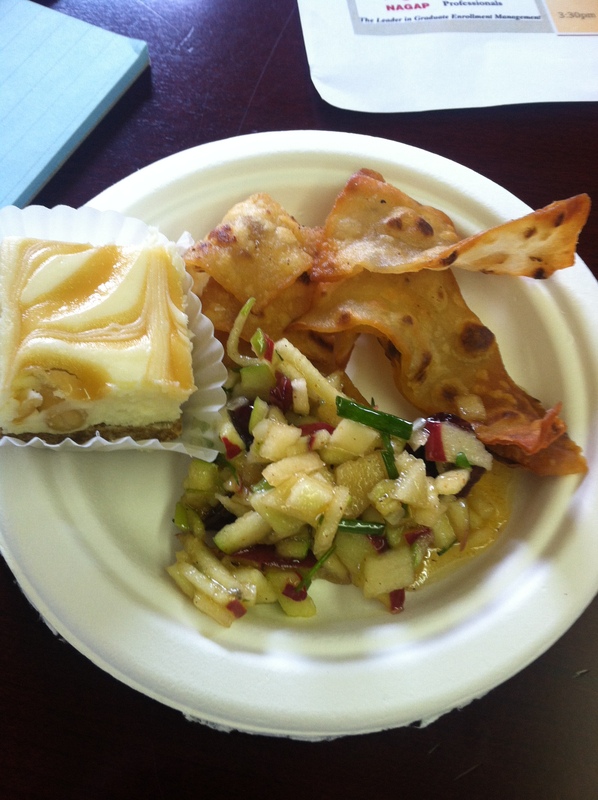 Salted Nut Roll Cheesecake Squares and Apple Salsa with Lefsa Chips. Sounds pretty amazing, right? It wasn’t. Sad day. After the conference, I hitched a ride to the airport, which is when I decided the cabbie screwed me. Oh well. There were three of us that headed back together. You wouldn’t believe the issues we had navigating that airport. 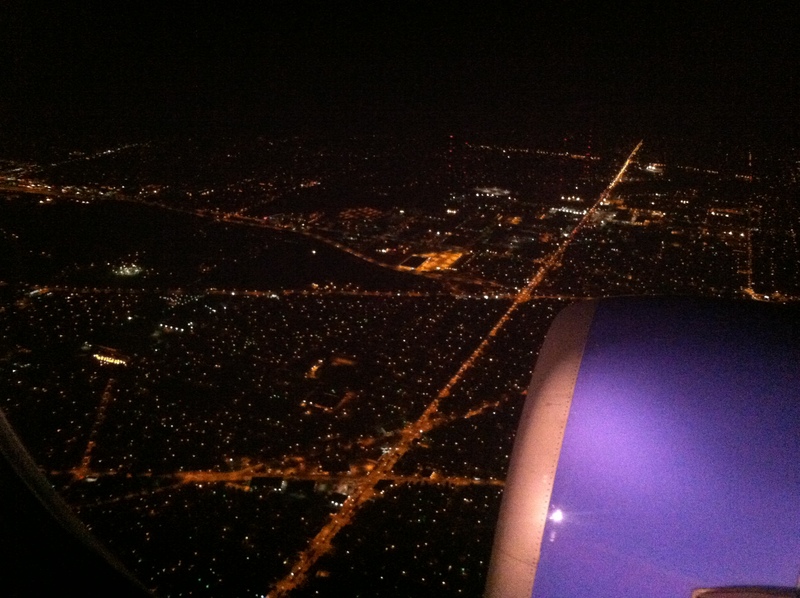 “How many higher education professionals does it take to find the tram and Minneapolis-St. Paul Airport?” It was pitiful. After a slight delay, I made it home. I’m going to take this opportunity to also talk about how ridiculous I think the TSA is. Friday morning, I was stopped and given a body search, as well as searched for explosives. I can count on one hand how many times I’ve gotten through airport security without some sort of extra search. I’m a pretty seasoned traveler, so trust when I say that I’m typically pretty careful about what I wear and what is in my bags. Funny thing is, on the way home (with the same clothing on and extra liquids in my bag), I walked right through. Hm. It helped solidify the fact I think their searches are random. Just a hassle. More of an illusion of safety than anything else. 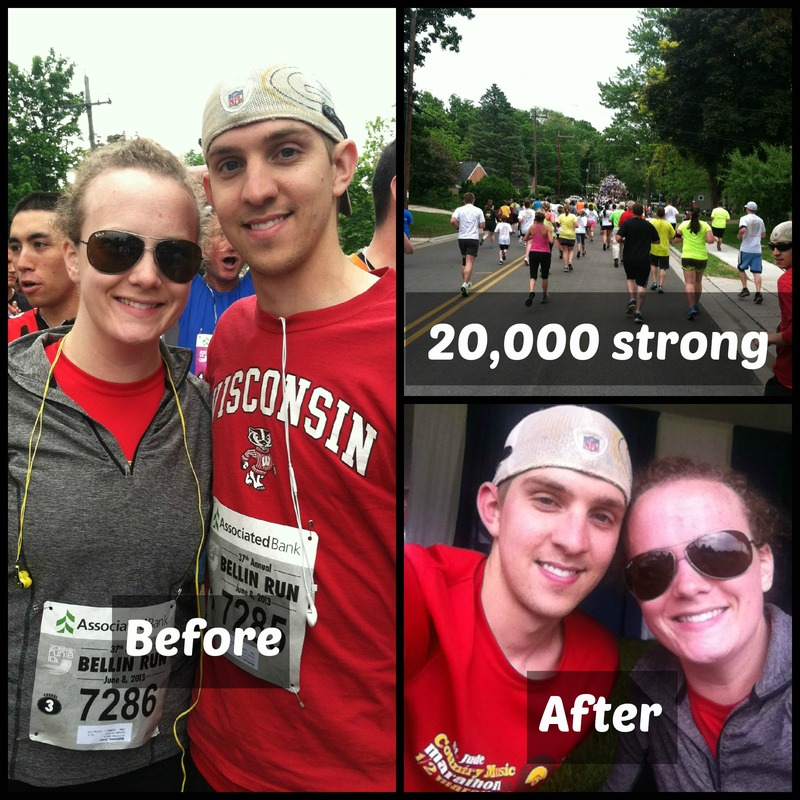 Saturday morning, Craig and I left bright and early to head to Green Bay to run in the Bellin Run 10K with his family. I learned that you reeeally shouldn’t go run 6 miles without training first. Craig and I are hurtin’ units. Like, I feel worse after this race than I have after any of my half marathons. But, I trained for those half marathons. Lordy. It really is a kick in the behind to get back in shape. Craig wouldn’t let me have it. What a jerk. Sunday, the landlords had an open house to try to rent our house out. Surprisingly, they’ve taken full responsibility for finding someone to take over our lease. I’ve offered numerous times, but she said she just preferred to do it herself. We are also going to get our security deposit back, pending a final walk through for damages. What? Craig and I fully expected to lose it, but we certainly aren’t going to argue! She received 4 applications, so fingers crossed that something comes of one of them! Sunday afternoon, we went out on the lake with our friends, Tom and Lindsey. They have a tiny, little, old boat and we were definitely getting a lot of attention. We all got a bit wet because the lake was rough, but I loved just being out on the water. Some of my most favorite childhood memories are boating with my parents – tubing, “bouncing,” playing Barbies, and being tied to the boat while we swam. I also spent Sunday doing some last-minute cramming for the LSAT. I have a vendetta against standardized testing, so I’m not so sure I’m as prepared as I should be. I guess we will see how it turns out. Today, I’m headed to UW-Rock County in Janesville to check that fun little project off of my application. It’s the last item, so hopefully I will hear sooner rather than later if I’ve been accepted! Wish me luck! WTFFF is Self-Hosted! Join Me!